We are one of the dentists in Maroubra that accepts dental vouchers from the hospital. Dentists must register with the Scheme to be able to accept and process vouchers so it is important you choose someone who is. A list of these dentists will be given to you when they issue your public Dental Voucher. This Scheme offers an different way that people, who are eligible for public dental health care, can get treatment from private dentists. 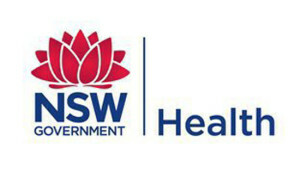 The NSW Oral Health Fee For Service Scheme or OHFFSS aims to improve access to dental care for concession card holders and their dependents. The vouchers cover things like emergency care, general dental care, extractions, fillings and dentures. There are a number of limitations imposed on the vouchers which should be explained at the time they are issued. Not all treatments are available; root canal treatment, cosmetic dental work, implants, and bridgework are not covered – so bear this in mind. It is public dental treatment being carried out by private dentists. Initially you will be seen at the hospital by a public dental clinician for an examination and X-rays. It is their responsibility to determine what treatment is needed and to formulate a treatment plan which the private dentist will carry out. The private dentist must perform the treatment outlined and make requests for additional treatments or changes to the plan if he or she wishes. It is the public dentist who will determine if you can receive a voucher to access dental care in this way and the voucher amount will be dependent on the findings of their assessment and treatment required. It is important to understand that eligible patients who receive a Voucher will have access to the same range of treatments that can be provided in a public oral health clinic. Contact a participating private dentist and arrange an appointment as soon as possible. Within 10 days of the date stated on the Oral Health Treatment Voucher. You will need to bring with you proof of identity and eligibility and of course the Oral Health Treatment Authority Voucher. Any additional treatment you may want outside of the voucher’s restrictions, will need to be discussed with one of our dentists.